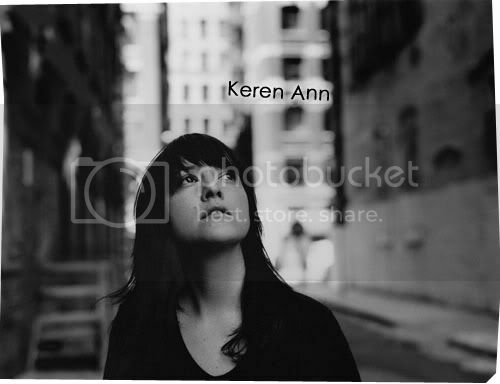 I have a distinctive feeling that many of you may have already heard of the Parisian chanteuse singer, Keren Ann. But fair enough if you have, this is for those who haven’t. The music crafted by the Israeli-born, Parisian raised, and New York based songstress, often unveils at a hushed and languid momentum. With a guitar intro (as well as a guitar solo at the end) - that could distinctly be linked to New York’s avant-garde rockers, the Velvet Underground - and sweet, frail vocals that seldom rises above a whisper, ‘Lay Your Head Down’ stands out among the rest and is sure to leave you captivated under the soft, sultry spell of Keren Ann Zeidel. It’s the intricate textures comprised of dithering strings, handclaps, and the doleful harmonica, that makes the seraphic beauty of ‘Lay Your Head Down’, truly Zeidel’s own and not quite similar to any you’ve heard in the past.